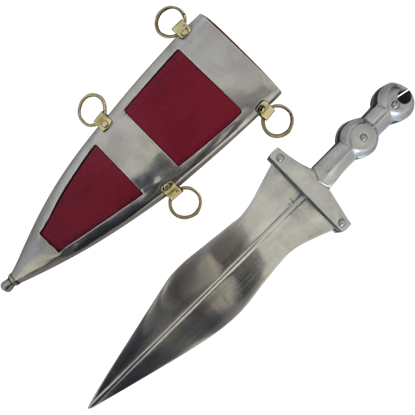 Two of the most common Roman dagger types are the pugio and the parazonium. 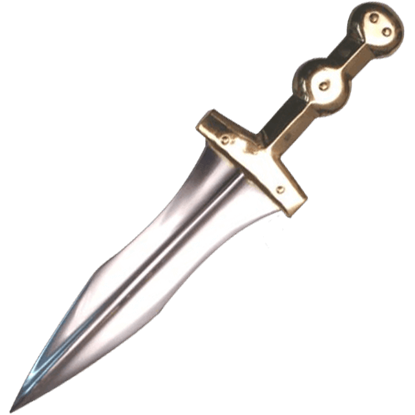 Soldiers in the Roman armies were issued the long, thrusting dagger called a pugio, which was used for close combat, assassination, and suicide. Notably, when Julius Caesar was assassinated, the conspirators stabbed him with pugiones. Based on an Iberian blade, the parazonium dagger featured a long, triangular shape that was wide at the hilt and narrowed to a sharp point. The historical parazonium mainly served as a mark of rank, and the Roman deity Virtus is often depicted as carrying one. 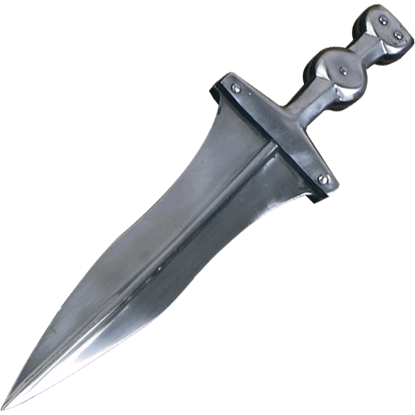 Here at Buying a Sword, we offer a range of Roman blades like gladiator daggers, legionnaire daggers, centurion daggers, and barbarian daggers. 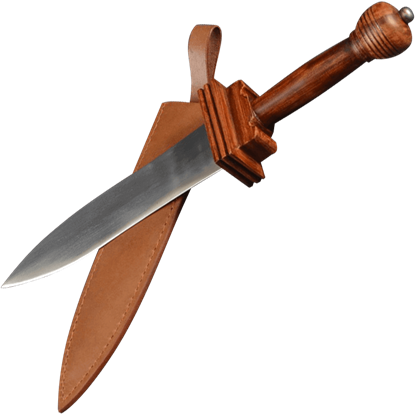 Our Roman pugiones include functional dagger and decorative dagger designs, ensuring that you can find the perfect option for your theatrical performance, weapons collection, and re-enactments. Well known as the city destroyed by a volcanic eruption, Pompeii has fascinated people for centuries. This 1st Century Pompeii Dagger is designed after findings from these ancient ruins so you can add it to your Roman themed collection. After a century of little use, the pugio dagger made a sweeping comeback in the early third century. Becoming the sidearm of choice for Roman officers, the 3rd Century Roman Pugio inspires a sense of nobility and mortality. The pugio was a typical arm to be found at the side of virtually any Roman soldier, acting as a sort of badge of office, as well as a sidearm. 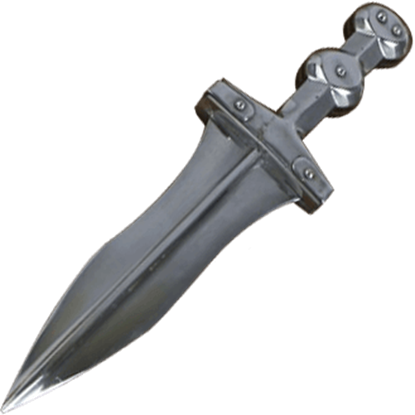 This Basic Pugio Dagger is a variant of the pugio, appropriate for any unranked soldier. 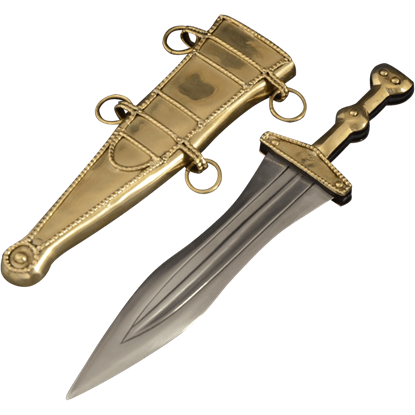 Based on the pugio of the ancient Roman Legions, the Brass Finish Ornate Roman Dagger is an elegant take on the historical weapon. Brass tone details, scrollwork designs, and a gemstone at the pommel all contribute to its regality. With its pommel shaped like the head of an eagle, the Brass Finish Roman Eagle Dagger is a remarkable replica weapon based on those used in ancient Rome. 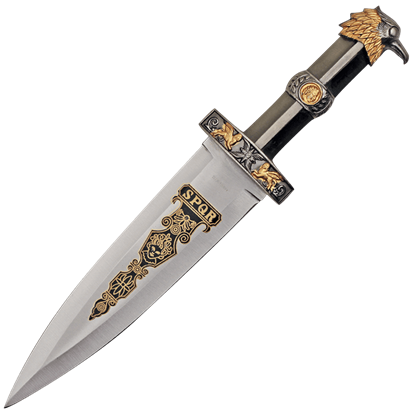 Brass and silver finishing lend a sense of regality to this collectible dagger. The pugio was a typical arm to be found at the side of virtually any Roman soldier, acting as a sort of badge of office and honor, as well as a sidearm. 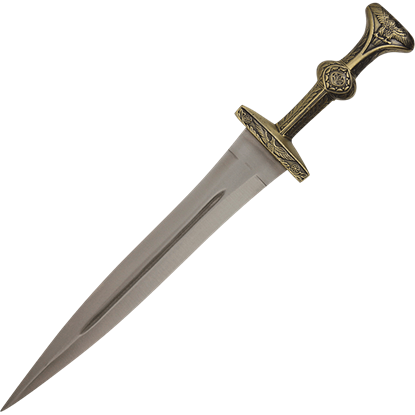 This Brass Pugio Dagger is a variant of the pugio, appropriate for any soldier. The pugio was a typical arm to be found at the side of virtually any Roman soldier, acting as a badge of office and honor and a sidearm. 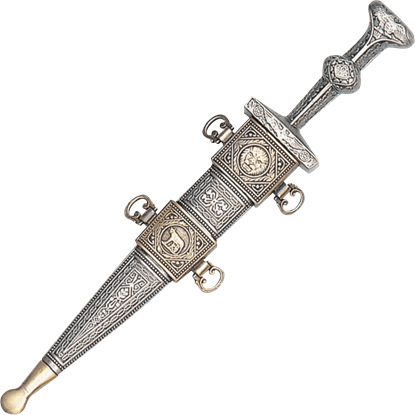 This Embossed Pugio Dagger is an ornate dagger appropriate for any ranked officer or general. In ancient Rome, gladiators commanded respect for their superior combat skills. 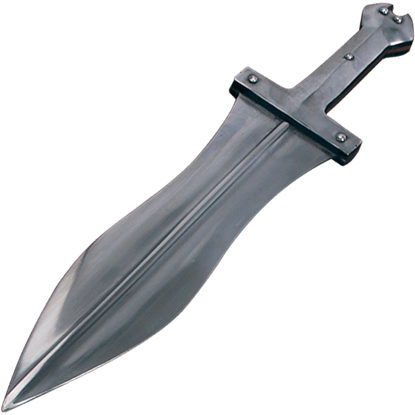 Evoke the same sense of warrior prowess with the Gladiator Dagger, a straightforward blade that looks as though it came right out of the arena. The pugio was a typical arm to be found at the side of any Roman soldier, acting as a badge of office and honor, as well as a sidearm. 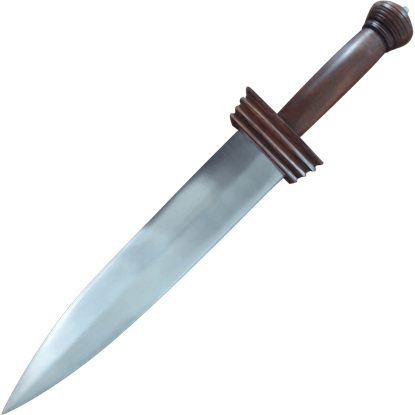 This Late Roman Dagger is a simple variant of the pugio, appropriate for any unranked soldier. As the pugio was often the sidearm of choice for ancient Roman officers and dignitaries, this dagger had to inspire an image of high rank. The Roman Leewen Pugio does just that, with shining brass accents and beaded details. 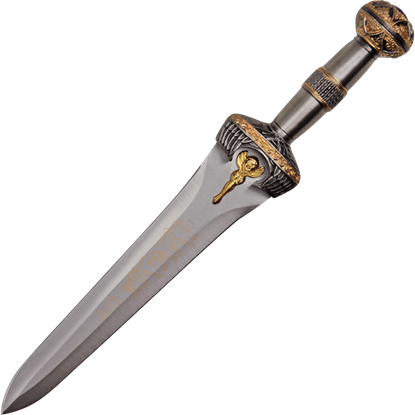 A regal take on the blade of a Roman soldier, the Roman Legionnaire Dagger is based on the ancient pugio dagger and is made ornate through antique gold coloring and intricate engravings throughout its hilt and matching sheath.